Here’s the scenario: You take a great picture, spiff it up a bit in your favorite photo editing program, then sit back and admire the rich colors that look pretty much exactly as you remember them looking when the picture was taken. But there’s a problem. When you print the photo or view it on another computer, the colors look absolutely horrible! Should you upgrade to Windows 8? 1 – The learning curve. When most people buy a new PC they take it home, open up the box, connect it to a power outlet and the Internet and get right to work putting it through its paces. And it’s easy to understand why. After all, who among us doesn’t enjoy playing with a new “toy”? Do you enjoy learning about the universe and exploring the wonders of space? How about visiting a planetarium for an up close and personal tour of the night sky? If so, you’ll love a free program called Celestia! 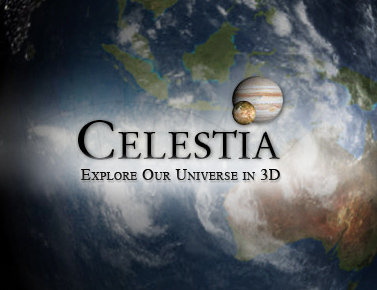 Celestia brings the known universe right to your computer screen with amazing animations and “tours” that will keep you spellbound for hours. You can also choose to go directly to the heavenly body of your choice or “travel” from the solar system to over 100,000 stars and even beyond the Milky Way! After downloading and installing Celestia, I recommend starting your journey by running the Demo (Simply click “Help” followed by “Run Demo”). You’ll find links to Celestia’s documentation and the download page right here. Let’s face it, computer viruses, trojans and other forms of malware are a fact of life, and regardless of how carefully you try to avoid them there is a good chance that your PC will become infected sooner or later. Most of these pieces of malicious code can be quickly removed with a normal virus scan and cleanup, but some infections are so insidious that they are difficult to detect and remove.